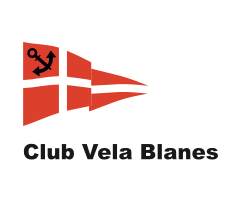 In the same way as last year, the Europa cup 2019 will take place in the Club Vela Blanes, Spain. Our 8 Days a week coaches will be present and ready for coaching during the event. On top of that this event will be the perfect opportunity to do some 29er sailing in great weather conditions during cold winter months unlike many other places around Europe! Training before hand is possible, upon request. Willing to join us? Over the past few years we had sailors from multiple countries participating, for example: Belgium, Netherlands, France, United Kingdom, Spain, Ireland, Finland, Sweden, Norway, Malta, United States of America, Hong Kong, Sint Lucia, Bermuda, Canada, Cayman Islands, Australia, … We’re looking forward to coach you! Please register below, where you can also find our general terms. Prices are per sailor and 2 entries are required per boat.